Y'all are going to love our new Deep South Tour. We've thought of AND included everything that's a must-see/do. You'll explore at your own pace without being part of a tour group, so plenty of free time for making your own Deep South discoveries. The line-up includes the 'Big Three' cities of Nashville, Memphis and New Orleans. 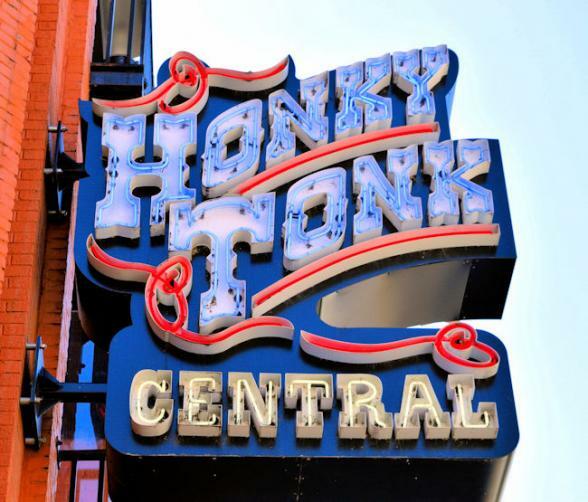 When it comes to southern hospitality, heritage and honky tonks, we think you'll agree there aren't three more appropriate towns. And there's no driving, so you can truly sit back and soak up the scenery. 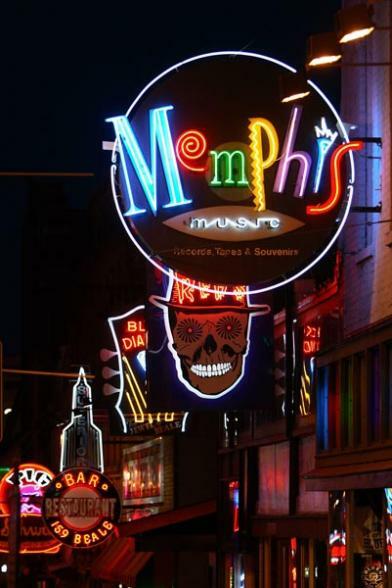 A chauffeured transfer will take you from Nashville to Memphis. Between Memphis and New Orleans, you'll watch the landscape change from cotton fields to swampland aboard the City of New Orleans train before arriving in the birthplace of jazz. Savour the music, the cuisine, the hospitality and the heritage of this unique part of America on this 11-day adventure by air, rail, private car and Mississippi steamer. All you have to do is sit back and enjoy. Ask about our 3-night Dollywood/Smoky Mountain add-on package which includes entrance to Dollywood and accommodation in cosy log cabins in the Smokies! "We all had a truly wonderful 11 days. We had a specific purpose to go on a musical odyssey to Nashville, Memphis and New Orleans and the packages put together by Bon Voyage helped enormously towards achieving our goal. It was the holiday of a lifetime and we can't thank Bon Voyage enough for their contribution towards it." Nashville is full of music history, heritage and honky tonks and you have two full days to explore. The Country Music Hall of Fame is a great place to start. Stroll around this massive shrine to country music and immerse yourself in the sounds of country music, its origins and traditions. Hop on the free shuttle from the museum to RCA’s Studio B, one of the world’s most successful recording studios, home to legends like Elvis Presley and the Everly Brothers. Ryman Auditorium, the original home of the Opry, is hallowed ground. This is the exact spot where bluegrass was born. Since 1974, the weekly radio broadcast now takes place at the Grand Ole Opry. 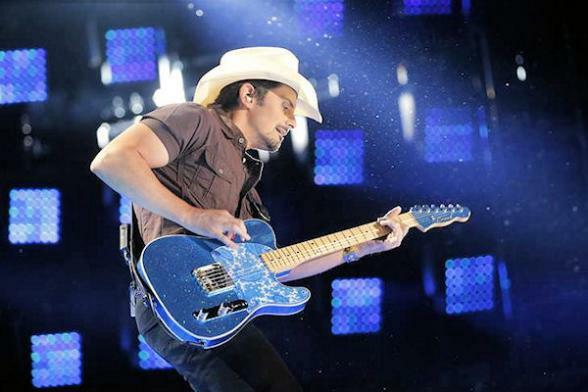 For true country music fans, the 'Behind The Curtains Tour' is a must. 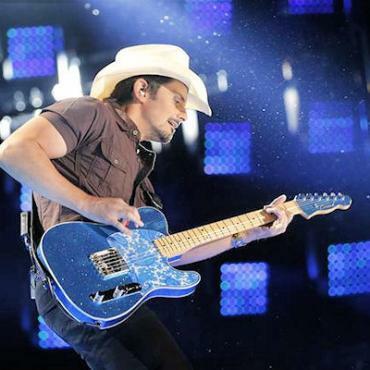 Mix with the country stars backstage and stand in the wings during the performance. Be sure to save time for the Johnny Cash museum. Dedicated to the Man in Black this is an intimate museum chronicling an amazing career. In the evening there is an endless selection of live music venues with bluegrass to rockabilly; country to rock n roll. 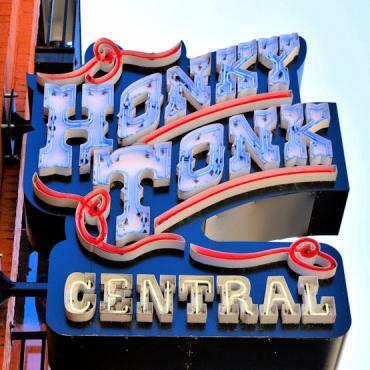 The talent is amazing and local honky tonks are full of hopeful performers, songwriters and musicians. You never know, you may discover the next big name! Your private sedan transfer departs mid-morning for a three-hour drive through the rolling hills and small towns of Tennessee to Memphis. Check-in to your hotel, a stone's throw from famous Beale Street, for three nights of music and some of the best BBQ in the world. By day, you'll enjoy a VIP tour of Graceland, its grounds and exhibitions. You'll also visit Sun Studios which is guaranteed to send shivers down your spine as your guide recalls tales of Elvis, Johnny, Carl and Jerry Lee. Make sure to save time for the Rock n Soul Museum and Stax Museum of American Soul Music. Fancy cruising around the streets of Memphis in a classic vintage car, with your shades on, roof down and listening to Elvis tunes? If so, you may also be interested in our latest excursion - check this beauty out! 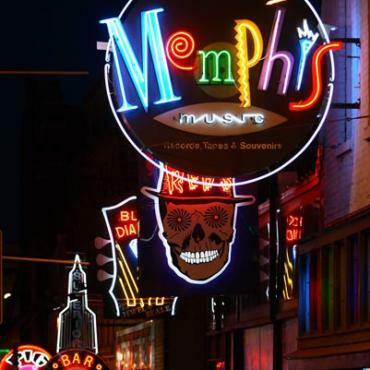 In the evening, Beale Street is a melting-pot of music - delta blues, jazz, rock 'n' roll, R&B and gospel fill the air. This historic district was declared the 'Home of the Blues' by an act of Congress. With such a rich history of legendary performers - Albert King, Louis Armstrong, Memphis Minnie, Muddy Waters and B.B. King...it's no wonder. It's an early morning start today as you board the City of New Orleans train in Memphis and head through the Mississippi Delta Blues region in to the swamplands of Louisiana. 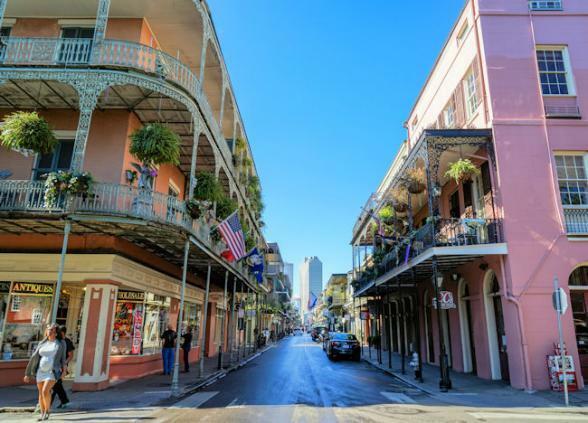 After travelling along the shore of Lake Pontchartrain you'll pull into the "Big Easy" just as the city's jazz clubs and restaurants are coming alive. Make your way to Hotel Monteleone, perched on the edge of the French Quarter and your 'Nawlins' home for the next three nights. 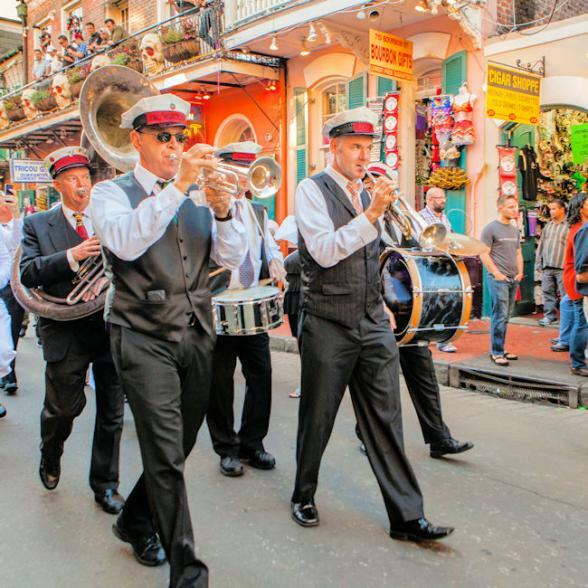 Founded in 1723 and considered the birthplace of jazz, New Orleans is the delightful mixture cultures. 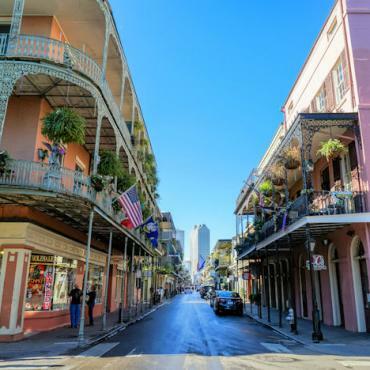 Get your bearings your first morning with a walking tour of the Vieux Carre, the famous French Quarter. A local guide who will enthral you with tales of slavery, shenanigans and scandal. No visit to the city is complete without a sail down the Mississippi river and we've included a two-hour lunch cruise on the Steamboat Natchez. From there, you decide. Jump on a street car and explore the ornate architecture of the Garden District, stroll around Jackson Square and watch the local artists at work or venture to the dark side and learn about the Voodoo practices that have taken place over the centuries. Save time to visit one of the magnificent plantation homes along The Great River Road, on the banks of the Mississippi River between New Orleans and Baton Rouge. Bon Voyage would be happy to arrange a half-day visit to Oak Alley, Whitney or Laura Plantation. 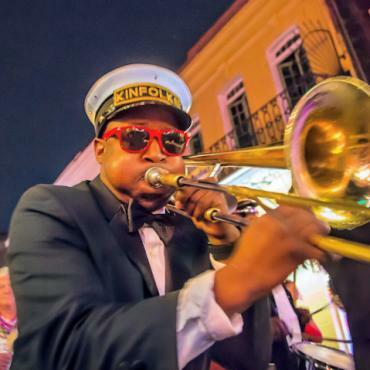 Whatever you do to fill the days, there's no doubt that New Orleans grooves along to its own distinct soundtrack. Obviously famous for jazz, it won't be the only sound you hear as R&B, gospel and rock play a huge part in New Orleans' music heritage. It's New Orleans’ loudest and proudest export and it’s inexhaustible. Enjoy. Leave New Orleans on your early afternoon flight back to the UK. Want to extend your time in the Deep South? Perhaps a Caribbean cruise from New Orleans? Or our 3-night Dollywood/Smoky Mountain add-on package which includes entrance to Dollywood and accommodation in cosy log cabins in the Smokies!